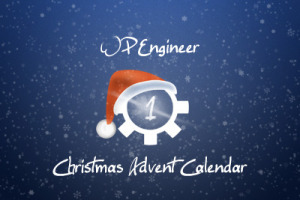 First day of our Advent Calendar we show tiny code snippets and brief informations for the Post Formats from WordPress version 3.1. Some theme authors wanted more defined formats - they wanted the feature "post formats". This new functionality will be available in WordPress 3.1 and displays an additional meta-information. The Codex for this functionality is available already, and now it's up to the theme authors to use this new feature. Not visible right now, but the Admin Bar, which will be available in version 3.1, provides additional information for developers and bug hunters. The Admin Bar is not final at all, so there will be more changes to come, but I'm happy to see, that it will support the developers and administrators on a daily base. A few minutes ago, a first version of the announced admin bar can be found in the current trunk. This feature will be included in WordPress 3.1. The admin bar can be accessed from the backend and the frontend as well.